Welland has excellent village amenities including a primary school, general stores with post office, church and village hall. More comprehensive facilities are available in both Upton upon Severn and at Great Malvern which boasts a wide range of shops, restaurants, banks, Waitrose supermarket and the renowned theatre and cinema complex. There is also a mainline railway station at Great Malvern and Junction 1 of the M50 motorway south of Upton both provide easy commuting to London and the Midlands. Castlemorton common is close by as well as the range of the Malvern Hills and at Upton there is the River Severn with its water and music festivals. 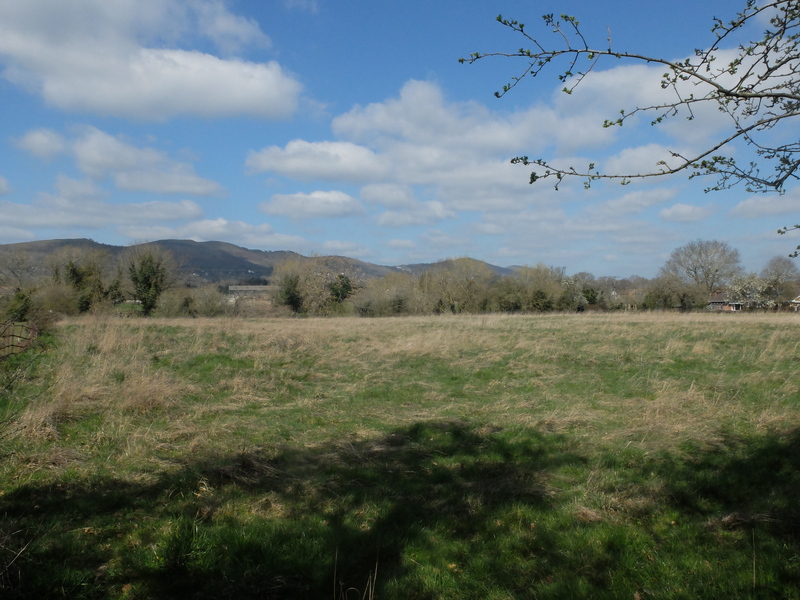 Enjoying wonderful views of The Malvern Hills an interesting area of amenity land located in the popular village of Welland. 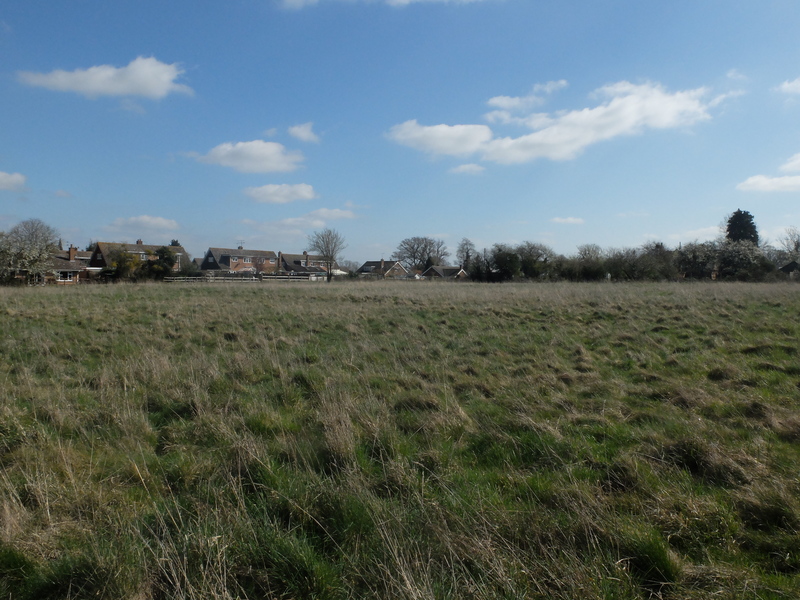 The site extends to approximately 2.5 acres and backs onto a small stream. RIGHT OF WAY It should be noted that the neighbouring property, 2 The Laurels, enjoys a right of way over the narrow track leading off the main road for access purposes. 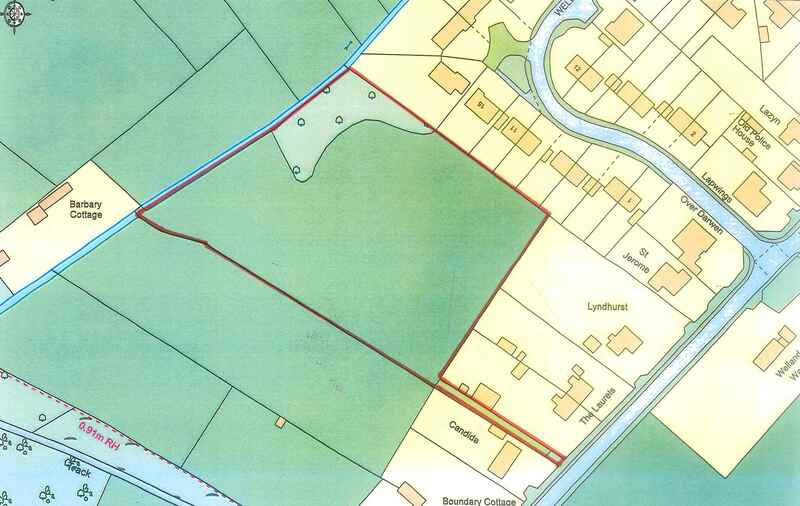 There is also an old right of way for access along the western boundary of the site in favour of Barbary Cottage. UPLIFT It is proposed that the property will be sold subject to an uplift clause in respect of future residential development. 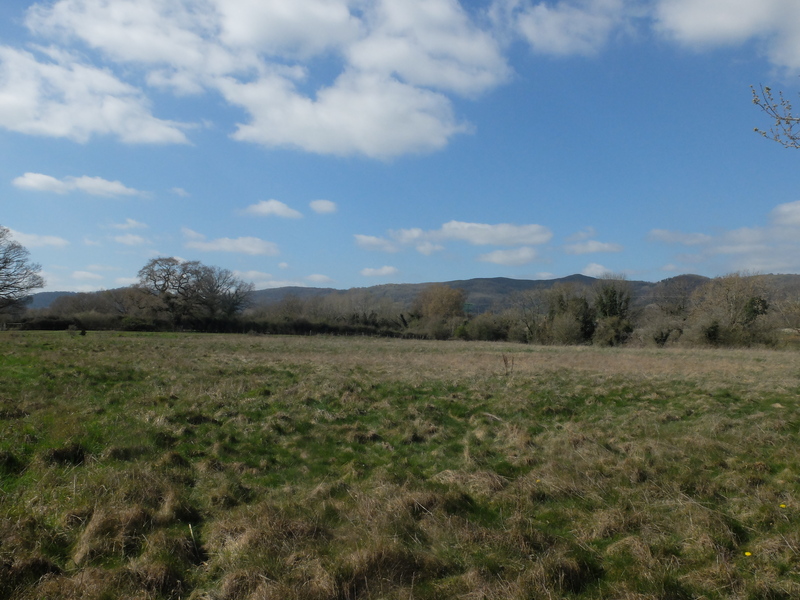 It will be 30% of the difference between the value of the land with and without planning permission, to endure for a period of 25 years. FOR SALE BY PUBLIC AUCTION The property will be offered for sale by public auction at 6:00pm on Thursday 16th May 2019 at The Feathers Hotel, Ledbury. LEGAL DOCUMENTS It is expected that a legal pack with contract documentation, searches etc will be available for inspection at the agents Ledbury office at least 2 weeks prior to auction date. VENDOR'S SOLICITORS Russell & Co Holland House Church Street Malvern Worcestershire WR14 2AH 01684 892000 INFORMATION FOR PROSPECTIVE BIDDERS AT AUCTION BIDDERS REGISTRATIONS Potential buyers are required to register their details before bidding. At registration you will need to provide your full name and address and the solicitor/legal representative who will be acting on your behalf. You will also need to prove your method of payment of the deposit and that you have necessary proof of identify to comply with money laundering regulations. You are advised to register prior to the date of the auction at one of the offices and you will need to bring your proof of identify with you to the sale where you will be allocated a personal bidding number which will enable you to bid. A bidders registration form is available upon request. Please bring this along to one of our offices at least 48 hours prior to the auction or ensure that you attend the auction registration desk at the auction venue at least 30 mins before the advertised start of the sale. There is no charge for registration. The auctioneer reserves the right to refuse a bid where registration has not taken place and to offer the lot to the under bidder. PROOF OF IDENTITY In compliance with Money Laundering Regulations bidders are required to provide photographic identification and evidence of residency. Buyers must provide the following: 1. Photographic identify document such as a current passport or UK driving license AND 2. An original utility bill, building society or bank statement, council tax bill or any other form of identity document (excluding credit card statements and mobile phone bills) that has been issued within the last 3 months and provides evidence of residency at the correspondences address stated on the registration form. If the bidder is acting on behalf of another party they will be required to provide the documents above for themselves and for the named buyers for whom they act, as well as providing a letter of authority from the buyers authorising them to bid on their behalf. If the bidder is acting on behalf of a company, the above documents will still be required together with written authority from the company and a copy of the certification of incorporation. It is advisable to ensure that this process is satisfactorily completed and approved well before the sale. DEPOSITS A deposit payment, which is payable on the fall of the hammer, is calculated at 10% of the purchase price (or £3000 whichever is greater). Buyers should arrange to bring either a bankers draft/counter cheque, building society draft or debit card to the sale room to cover their maximum bid. Personal and company cheques will not be accepted unless agreed by prior arrangement even if you are well known to us and have bought from us previously. If you wish to pay by personal or company cheque you should contact us at least 3 working days prior to the auction. A £20 fee will be charged (payable in cash only) upon acceptance of any personal or company cheque to cover the bank chargers for special clearance. Buyers may pay deposits by either Maestro or Visa debit cards (not credit cards). Transactions must be in person and cannot be accepted over the telephone. Buyers should note that cash will not be accepted for deposit payments. Important all buyers are advised to inspect all available legal documentation prior to bidding and you will be deemed to fully understand your liabilities if successful. Liabilities could include stamp duty, land registry fees and VAT which may become payable upon completion in line with any property transaction whether it is be auction or private treaty. If you are in any doubt you should seek advice from your own professional advisors. SALE PRIOR TO AUCTION If you are interested in this property we would advise you to register your interest. In the event that a sale prior to the auction date were to be considered then we would endeavour to contact you. The vendor reserves the right to sell the property prior to auction or to withdraw it. RESERVE PRICE This is seller's minimum acceptable price at auction and the figure below which the auctioneer cannot sell. A reserve price is not disclosed and remains confidential between the seller and the auctioneer. Both the guide price and the reserve price can be subject to change up to and including the day of the auction. AUCTION GUIDE PRICE An indication of the seller's current minimum acceptable price at auction. The guide price or range of guide prices is given to assist consumers in deciding whether or not to pursue a purchase. It is usual, but not always the case, that a provisional reserve range is agreed between the seller and the auctioneer at the start of marketing. As the reserve is not fixed at this stage and can be adjusted by the seller at any time up to the day of the auction in light of interest shown during the marketing period, a guide price is issued. The guide price can be shown in the form of a minimum and maximum price range within which an acceptable sale price (reserve) would fall, or as a single price figure within 10% of which the minimum acceptable price (reserve) would fall. A guide price is different to a reserve (see below). Both the guide price and reserve price can be subject to change up to and including the day of the auction. Proceed out of Ledbury on the A449 Worcester Road in the direction of Malvern. Continue over The British Camp and then turn right onto the A4104 sign posted to Upton. Proceed down the hill and continue into the village of Welland. At the staggered crossroads turn right onto the B.4208 Gloucester Road. Proceed on past the Post Office and the Welland Gardens turning and the track giving access to the site will be located on the right hand side, adjacent to 1 The Laurels.